Woolf suffered from severe depression and psychotic episodes, but to Douglas Scott, artistic director of Full Radius Dance, her words hold a meaning larger than an obsession with death. They represent a tipping point — the moment when someone gives up, whether in life or in love, and falls over the edge. 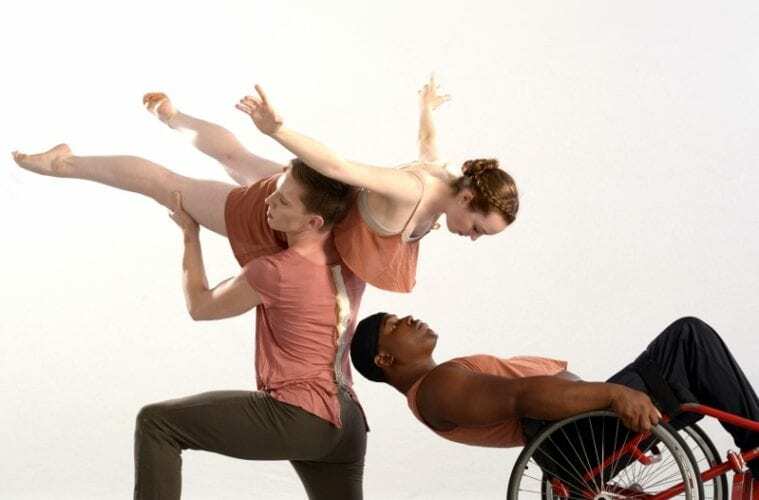 Inspired by Woolf’s words, Full Radius Dance, Atlanta’s professional physically integrated dance company, will present Gone Too Far This Time, February 8–10 at 7 Stages. Also on the bill are Unexpected, a piece about the gravitational pull of relationships, and Bar Songs, an upbeat, whimsical piece not seen in Atlanta since 2010. ARTS ATL sat down with Douglas Scott to hear about the process behind the concert. ARTS ATL: How did Virginia Woolf’s writing inspire this piece? Douglas Scott: The creation of the work began with an image. 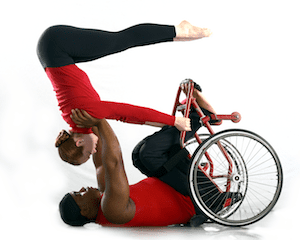 I thought it would be striking to see my dancers who use wheelchairs in a front tilt, meaning all their weight is over on their footplates, with the wheels just spinning. With that image in mind, I started researching tipping points and going too far. This research led me to Virginia Woolf’s writing, and I came across a website that contained her suicide notes. The title, Gone Too Far This Time, is pulled directly out of Woolf’s suicide note to her sister Vanessa. It seemed appropriate because I really wanted to explore where the tipping point is for people — what pushes you over the edge? Whether it is to fall in love, or to commit suicide, when do you get to that point where you have just gone too far? ARTS ATL: What was the process like in the studio? Scott: We starting playing with the idea and the concepts last spring, and premiered two sections of it at the Modern Atlanta Dance Festival in 2018. I like to work collaboratively with my dancers, and because of the different types of bodies, it works best if I bring in some movement and let them figure out how it fits on their individual bodies. Sometimes I gave the dancers sections of Virginia Woolf’s writings and asked them to create movement. We experiment a lot in the studio. 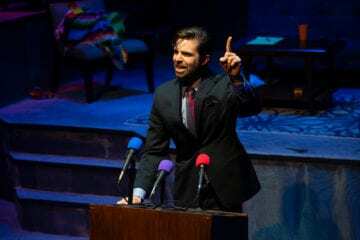 ARTS ATL: What can the audience expect to see? Scott: They’re going to see inventive partnering and our groundbreaking physically integrated dance technique. In Gone Too Far This Time, the text itself will be performed by Atlanta actor Carolyn Cook. She’s embodying Virginia Woolf, and she has a doppelganger as one of the dancers. In addition to Gone Too Far This Time, they will see Bar Songs, which I brought back specifically because I needed to balance out the gravity and heaviness of Gone Too Far This Time. Bar Songs is the complete opposite. It’s a group of people late night at a bar — their hearts are broken, they’ve been drinking, and it’s that easy familiarity that can happen sometimes between strangers. The other piece is Unexpected, which we performed outdoors here in Atlanta as part of Art on the Beltline. Then we took it to New York and transferred it into a theater. This will be the first time it’s seen in a theater in Atlanta. ARTS ATL: What has that been like? Transferring a piece from the outdoors to the theater? Scott: It’s been pretty easy. As most dance companies, Full Radius performs in many different venues. I’m always interested to see how a piece changes according to the environment it’s in. This piece feels more intimate inside the theater, which surprised me, because in Art on the Beltline — everyone was right there in front of us. But depending on where we were performing outside, it could be restricting because of accessibility issues. So putting it on the stage negated this — we no longer had to worry about the gap in the sidewalk or where the grass started. In a theater, the dancers can inhabit the work more without worrying about those outside influences. ARTS ATL: What do you hope the audience gains from this performance? Scott: I always hope people walk away just feeling something. I want them to be engaged, and that engagement can be a variety of different things — that they’re emotionally engaged, that they laugh, they cry. And also if they’re new to Full Radius, I hope that they understand how deep the modern dance art form can be and is. 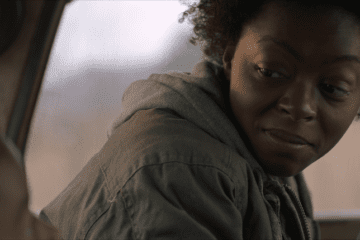 I hope audiences come away from this performance realizing we’re creating great art without an asterisk that says “people with disabilities” or anything like that in there. ARTS ATL: What was the most challenging part of this process? Scott: Challenging for me is always birthing a new work. Every measure of self-doubt and second-guessing comes into play. It’s like, is this really worthy of audiences’ eyes? And also challenging is respecting my artistic eye but always wanting to push what I see, push what the company does. It’s challenging to feed myself — but also to feed the creativity of the dancers, to make them feel like they are growing with every concert that we present.